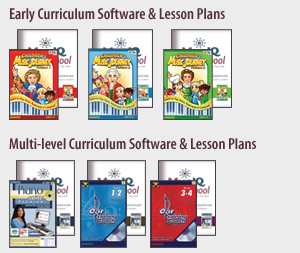 Order software (downloads), lesson plans and a keyboard directly from this page or download all the software by ordering the Monthly Subscription instead. At home you need a MIDI Keyboard (piano keyboard that interacts with a computer). 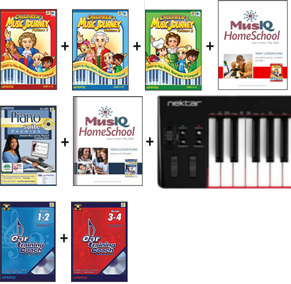 The education quality USB MIDI keyboard displayed is the Acorn Masterkey 49, our best value and most popular option.